South Korea’s commercial banks are launching ‘mini banking applications’ to compete with internet-only banks. 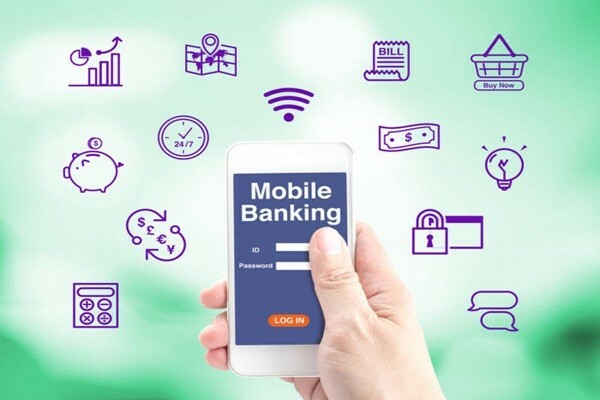 Although they had challenged internet-only banks through ‘comprehensive banking application’s, which combine many applications into one, they were inadequate to compete with internet-only banks that are able to respond in real-time even when there is huge amount of traffic. As a result, commercial banks are trying to compete with internet-only banks through mini banking applications that are comprised of only necessary functions. Suhyup (Sh) Bank launched an Android version of ‘Hey!Bank’ application, which is comprised of only important functions such as account inquiry and simple transfer, on the 4th. This application’s major functions are ‘contact wire transfer’, which can transfer money just through contacts of people, ‘simple transfer’ that does not need an official certificate, and ‘quick wire transfer’ that can send money to accounts that were recently sent money to without going through authentication procedure. Hey!Bank application also has ‘NEW Product Mall’ function that is comprised of only online products such as ‘it’ set-aside money account, ‘it’ simple loan, non-face-to-face loans for lease, and unsecured loan for individual businesses. Out of these products, ‘it’ set-aside money account and ‘it’ simple loan are also available through an application of its partner Toss. Hey!Bank application also provides ‘all-at-once inquiry’ service that can check payments and a person’s every credit and check cards. iOS version of Hey!Bank application will be launched officially on the 5th. By launching Hey!Bank application, Sh Bank has able to add a mini application to its current comprehensive application called ‘Partner Bank’. One advantage of a comprehensive application is the fact that a person does not have to install many applications. However, a disadvantage of a comprehensive application is the fact that it can be bit heavy since it has functions that a customer may not use often. Besides Sh Bank, other commercial banks are also launching ‘mini applications’ as their comprehensive applications have many incidences with access failures. On the other hand, KakaoBank developed an application through native method rather than hybrid method so that its application can perform real-time actions in midst of traffic. As a result, its application was not down even when 20,000 to 30,000 people connected to it at the same time on its launching date. Commercial banks have turned to two-track strategy as KB Bank and IBK Bank are introducing simplified applications such as ‘Star Banking Mini’ and ‘i-ONE Bank Mini’ respectively.